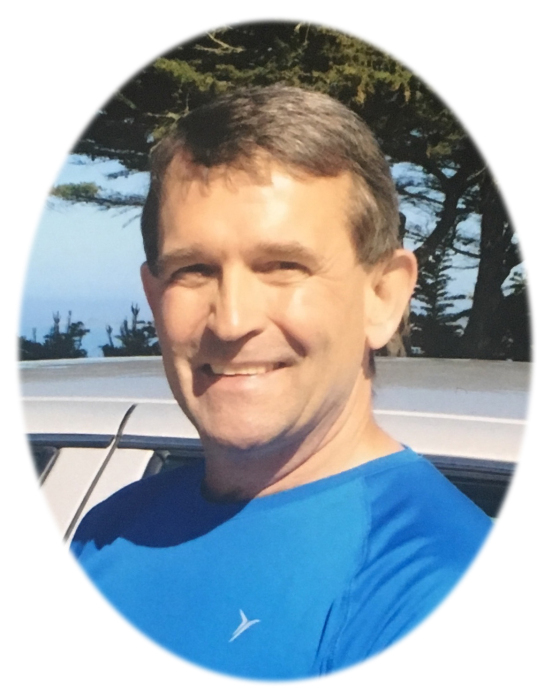 Florence- Michael Charles McChesney, 61, of Florence passed away from complications due to cancer Saturday, Aug. 18, 2018. He passed peacefully, at home, surrounded by his family. Mike blessed the McChesney family with his presence on May 17, 1957 at Granite County Memorial Hospital in Philipsburg. He joined his parents and four siblings, two boys and two girls, later to be joined by another brother and sister. The McChesney household was a bustling place, filled with a great deal of love, laughter, sibling rivalry and kids from all over town. Mike was forever the dare-devil and the athlete. His early wrestling career, a passion for which he would maintain all of his life, began on the sidewalk near the steps of the Corner Club Bar with any first or second grader willing to engage in a free-for-all match. The family moved from Philipsburg to Missoula in the mid-1960’s. On Christmas day 1966, Mike unwrapped his first football uniform. His contagious excitement filled the entire house as he pretended to take the field with his favorite Baltimore Colts football team. This would lead to his everlasting passion for the game. After the family’s move to Missoula, Mike would spend his adolescent years attending Missoula public schools. He graduated from Sentinel High School in 1975. It was during his school years that Mike formed many of his cherished and lifelong friendships. In 1982, he married Karla Vercruyssen in Hamilton, MT. Three years later, their first son Daniel was born, and in 1988, they moved to Florence where their second son Kevin was welcomed. Mike spent most of his working career in the gas and welding products industry and in customer service sector of the trucking business. He lived a life that was full of joy, happiness, and a desire to help others. He dedicated much of his life to the youth sports communities in the Missoula and Florence areas. Little Grizzly Football and Florence Little Guy Wrestling were two of his greatest passions. He also spent many years coaching, refereeing, and organizing athletics across a multitude of activities. Outside of his youth sports involvement, Mike enjoyed camping, four-wheeling, huckleberry picking, Montana Grizzly Football, but most of all, he loved and cared for his family dearly. Mike is survived by his wife Karla; two sons, Daniel (Jasmine) and Kevin; two granddaughters, Madilyn and Ellie; siblings, Bill (Louise) McChesney, Kathy (Tim) Lape, Beth (Larry) Connell, and Ann (Luke) Cowan; in-laws, Earl and Barbara Vercruyssen; sister-in-law, Laura Vercruyssen; Aunt Helen McKillop; nieces and nephews, Sean and Ryan McChesney, Jason (Felicity), Matt, and Courtney Lape, Jamie (Jaie) Belanger, Mikey Connell, Josh (Brittany) and Jason Cowan, Amanda and Kyle Richie. Mike was preceded in death by his parents, Harold “Mac” and Betty McChesney, two brothers, Bob and Dan, a niece, Heather McChesney, and nephew, Joey Connell. Funeral services will be held Thursday, August 23, 2018 at 5:00 p.m. at the Florence-Carlton School Gymnasium with a reception to follow onsite. Condolences may be left for the family at www.dalyleachchapel.com.